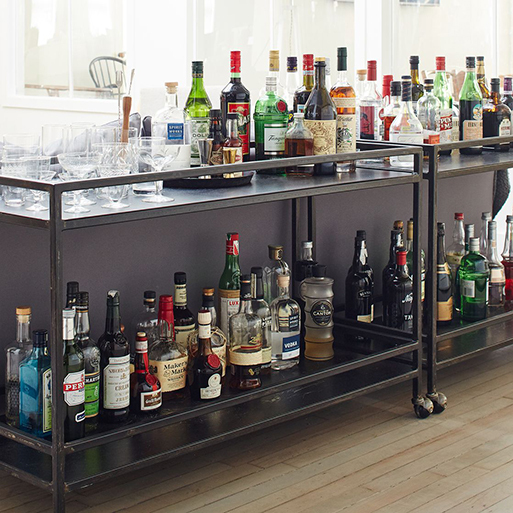 Do you need a new bar cart? One that holds a little more liquor perhaps? 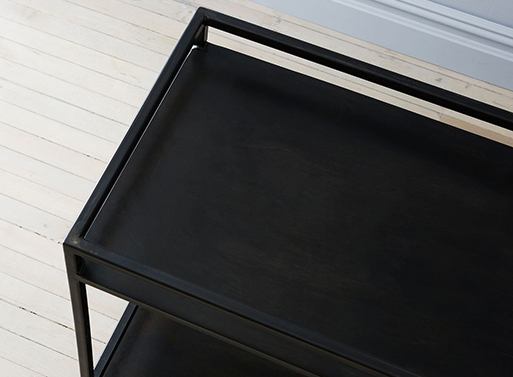 You could do a hell of a lot worse than this Blackened Steel Bar Cart by Brad Sherman. It’s oversized and suitably sophisticated; there’s nothing overly ornate or precious about it, so it’ll withstand a fair bit of use and still look good. Hitting just under 30″ in height, it can float behind the sofa or stand against a wall. 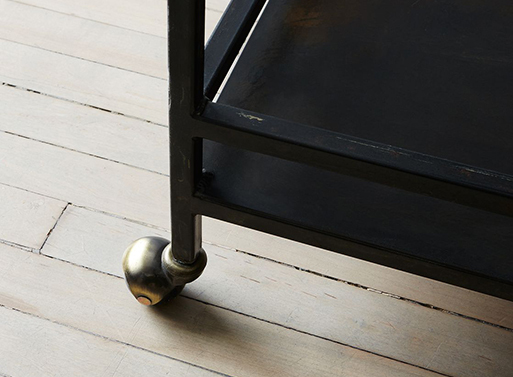 Note: Cart legs are sealed with a clear coat of Briwax Clear Paste Wax. Scratches can be buffed out easily with use of that product. Piece should be waxed every few months to prevent rusting. Size: 48″ L x 18″ W x 29.5 H (with wheels); frame legs and top are 0.75″ thick. Available from Food 52, $1,800.00.